When it comes to Christmas, a Lapland Letter from Santa will make this year more 'Fantastical' than ever, and our Santa Letters are truly one of a kind, from the moment your child receives their letter the true magic of Christmas begins. 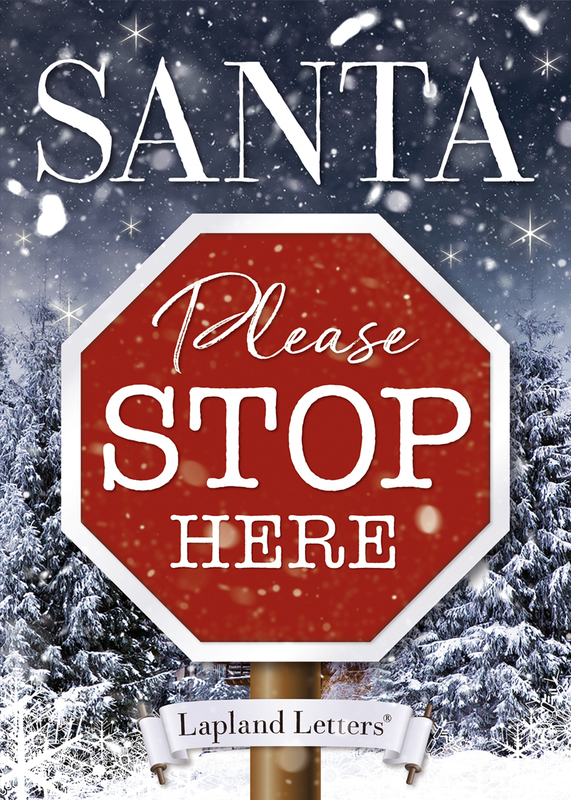 Our authentic Personalised Santa letters are unique to your child in so many ways, many more than others, making Christmas more believable than ever! Each letter from Santa is beautifully designed and presented, and has the look and feel of pure quality and includes a Santa bumper activity pack which is personalised, printed, posted and then delivered direct to your child in a bespoke Lapland envelope with a Lapland postal stamp to encapsulate the true Christmas experience. 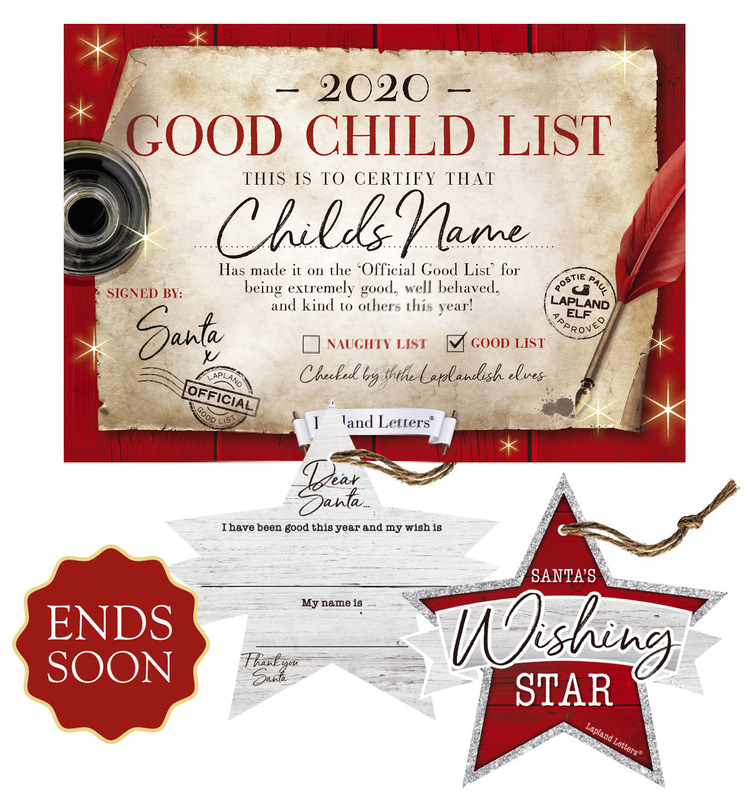 Simply choose one of unique designs for your santa letter, fill in your child's personalisation details including your child's age, present wish, friends name, their home town and lots more, then select if you want the letter from Santa or Father Christmas. You can now even include your own personalised message from Santa at the bottom of every Letter from Santa, your perfect way to say thank you, acknowledge a special achievement or a simple hello from the big man himself. 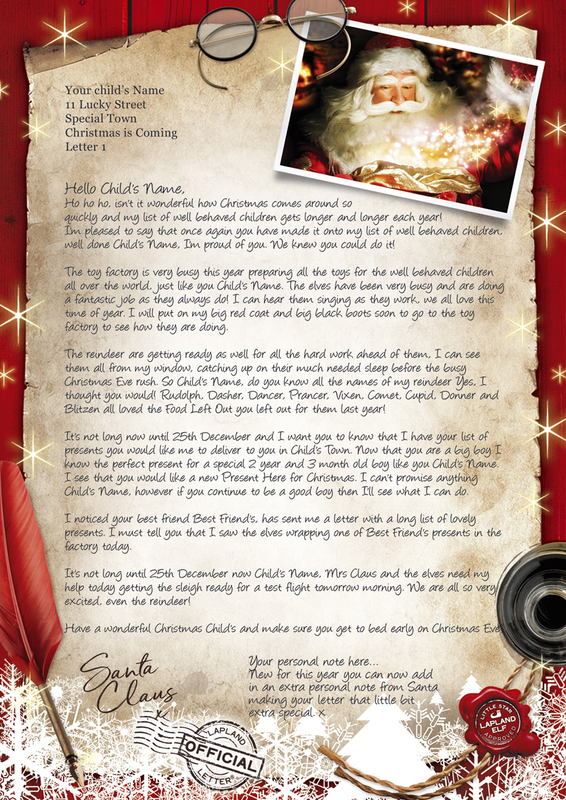 See why a Lapland Letter from Santa is the most authentic Santa Letter available. Magical Offer - Free Gifts!! Don’t miss out on our Fantastical Magical Offer! 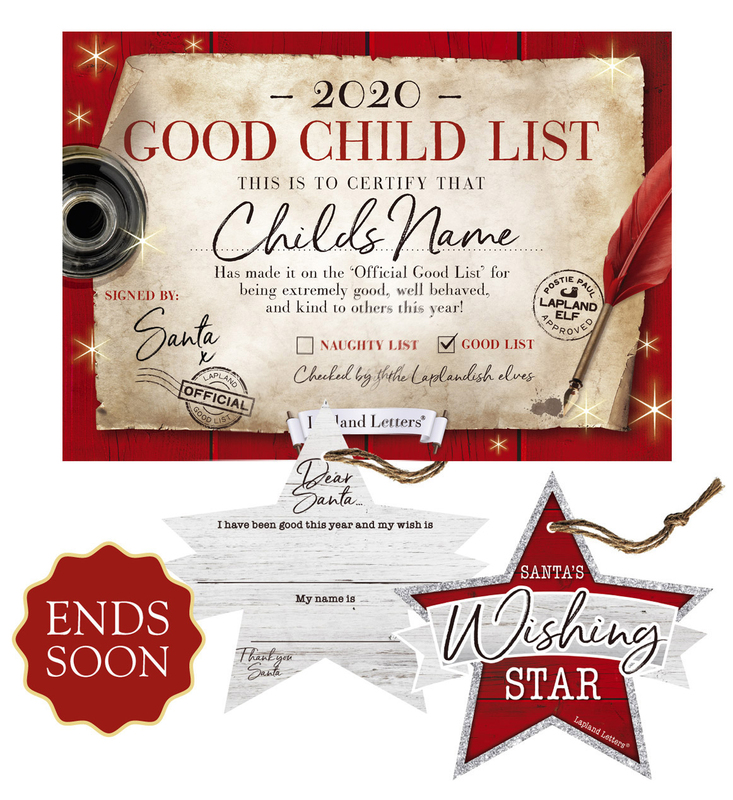 Order NOW and receive a FREE personalised 2018 good child certificate and Free Elfclusive Lapland Wishing Stars too. Offer now ending, so don't miss out. HURRY - This Offer is Now Ending! 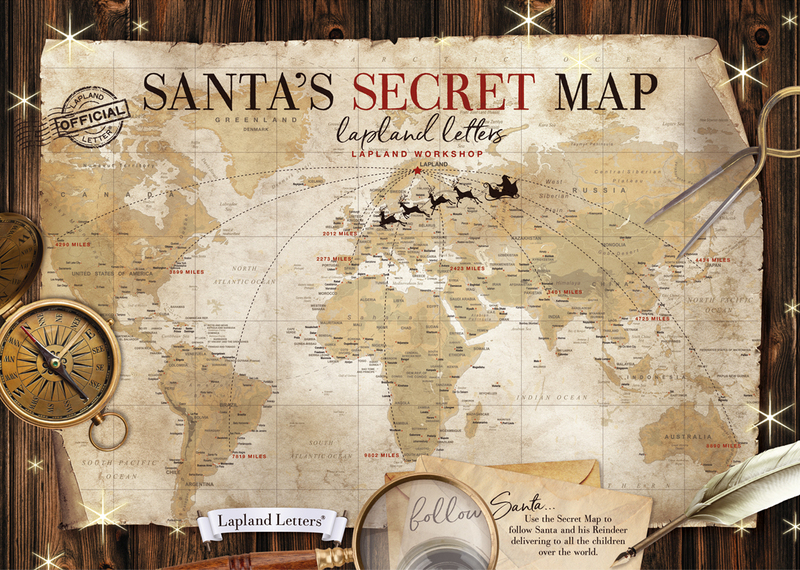 Each Santa letter includes a bespoke personalised letter to your child printed onto our beautiful Lapland paper, secret santa map, sealed into our bespoke Lapland Envelope including UK Postage. 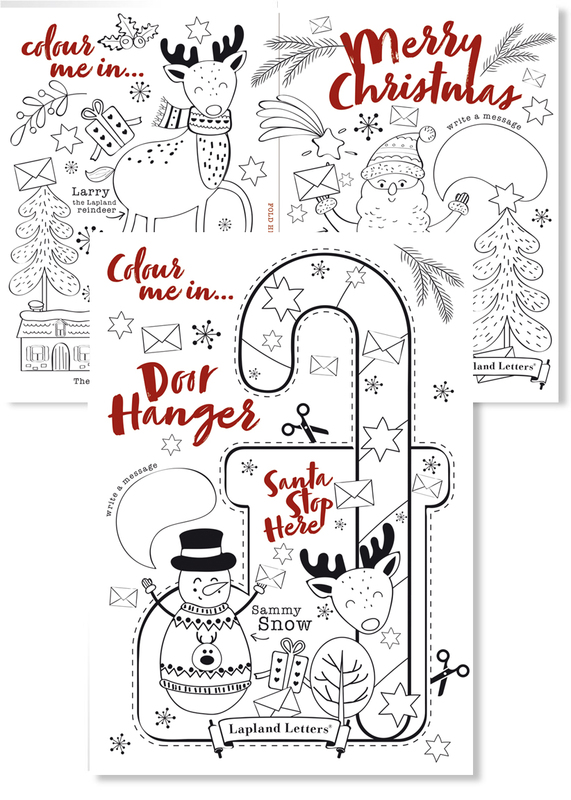 All letters have the option to add our EXCLUSIVE 2018 Bumper Santa Activity Packs with so many magical extras only found here at Lapland Letters. Only available with Lapland letters from Santa! Made using our SECRET RECIPE by the one and only Mrs Claus!! Using natural ingredients and authentic Lapland Magic Star Dust. Simply sprinkle outside only on Christmas Eve to guide the reindeers to your home. 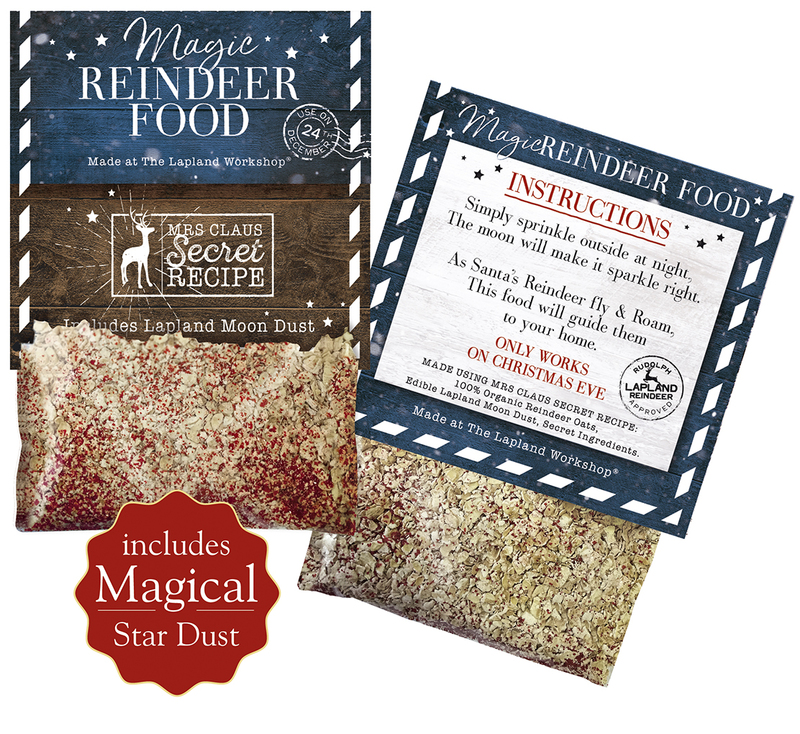 PLEASE NOTE: Magic star dust will only work on Christmas Eve near bedtime! 2018 Personalised Good Child Chocolate Bar! Each one personalised with your child's name, Santa's special thank for being good! 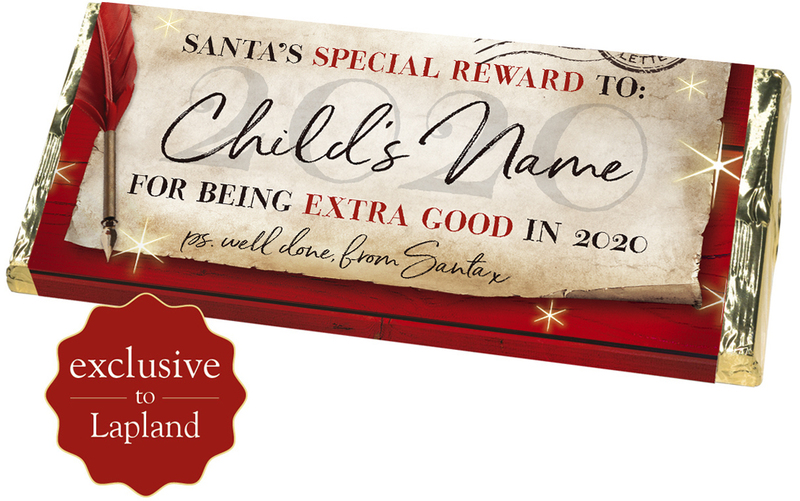 This EXCLUSIVE Good Child chocolate bar is the perfect way to reward your child for being good, watch your little ones eyes light up with joy and wonders of this festive time, with every bar being personalised with your child's name, hand made make in the uk using only the finest ingredients by Mrs Claus herself, the perfect gift from Santa Claus himself. Guaranteed Delivery - and Before Christmas! 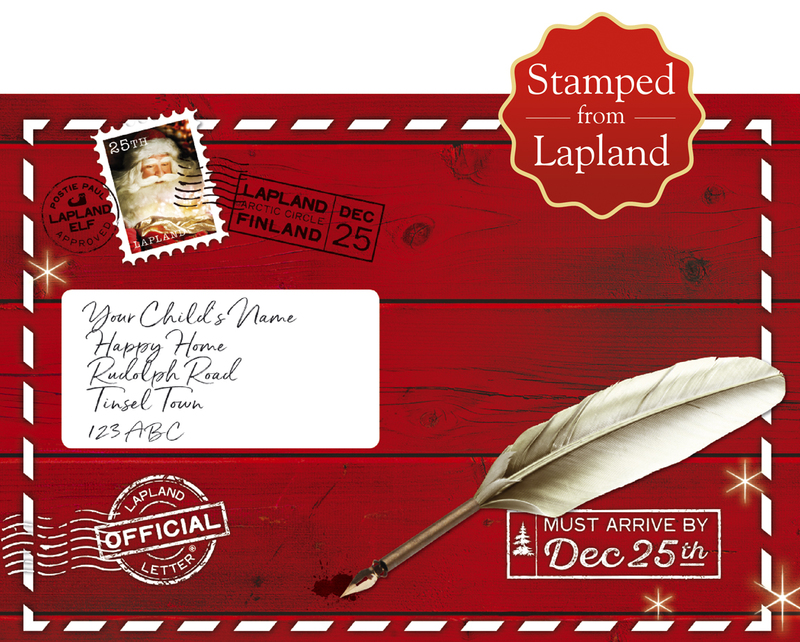 Hurry, order your Lapland Letter Today! Santa Claus is now writing his magical Letters everyday. This means the elves will be posting the very next day too. Then UK Royal Mail take over and they aim to deliver your Santa or Father Christmas Letter within 3 working days, if not sooner. If you would like your letter delivered later or nearer Christmas, simply email Mrs Claus with your request. Santa's last orders are now being taken up until Wednesday 19th December and even Friday the 21st December with our Elfclusive 24 hour Reindeer Express option. 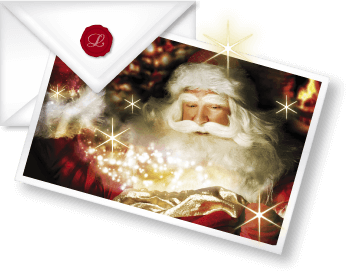 We are proud to offer both options making sure your magical Santa letter from Lapland Letters arrive in time for Christmas - Guaranteed. As a special thank you from Mrs Claus, we often include a magical FREE gift as a surprise, so please like and share our Facebook page to be included in her special give away surprise!! Please do like and share the Lapland letters love with you family and friends.